Weather Channel's "Tornado: Inside the Vortex"
“Terror in the Library” (link) Saturday June 24, about an event March 5, 1994, when Clifford Lynn Draper took hostages and threatened to block himself and the hostages up if many demands related to his military service were not met. The perpetrator was said to be a paranoid schizophrenic. He was finally shot by an off-duty policeman who used specific intelligence to decide when to act. The episode is unusually disturbing because he singled out hostages, made one of them call a TV station, and made them draw straws. One of the hostages almost went into a diabetic coma. Incidents like this have happened (before 9/11), from non-islam-related causes more often that people realize. The most notorious was he kidnapping of Patty Hearst in 1974. This is particularly disturbing to me, as I have outlined here. The Salt Lake Tribune has a detailed story here. "What Is Happening Under Yellowstone Park in 2017? ": Is a massive eruption about to destroy 1/3 of the U.S.
“What Is Happening Under Yellowstone Park in 2017?”, from News USA 2017, plays on the recent reports of earthquakes in Yellowstone National Park as a possible precursor to a massive eruption. The video mentions the rumor that the US has contact four countries to ask for radical hospitality to house US homeowners made homeless by the eruption. A map in the video shows the predicted zones of destruction, which would encompass about one third of continental United States. There are reports that there is a 10% chance of a massive eruption by 2100. Eruption occurs about every 650000 years, but we are about due (but statistically any given year is unlikely). The video then goes on to speculate about a secret network of underground bases all over most of the US, with many subterranean high speed lines already bit. It even speculates these bases could explain some UFO abductions. Today, Saturday, June 17, 2017, the Weather Channel presented its own hour-long documentary “Tornado: Inside the Vortex”. Here’s an excerpt dealing with mutli-vortex tornadoes. The documentary also explained the SLIM system for anticipating tornadoes: S for Shear (speed and height), L for Lift, I for Instability, and M for Moisture. Both cold fronts and ordinary surface low pressure systems can produce big thunderstorm complexes. 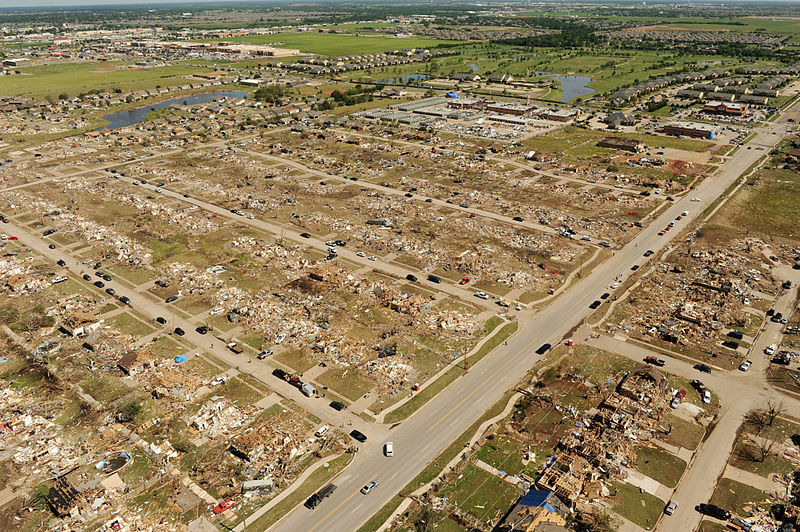 The documentary also showed the spot in Moore OK crossed by both the 1999 and 2013 tornadoes. Here is some discussion of NOAA's discussion of the categories of risk for severe thunderstorms: marginal, slight, enhanced, moderate, and high. 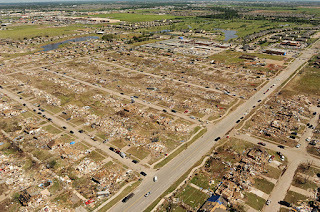 Wikipedia attribution link for 2013 Moore OK damage, p.d., FEMA. 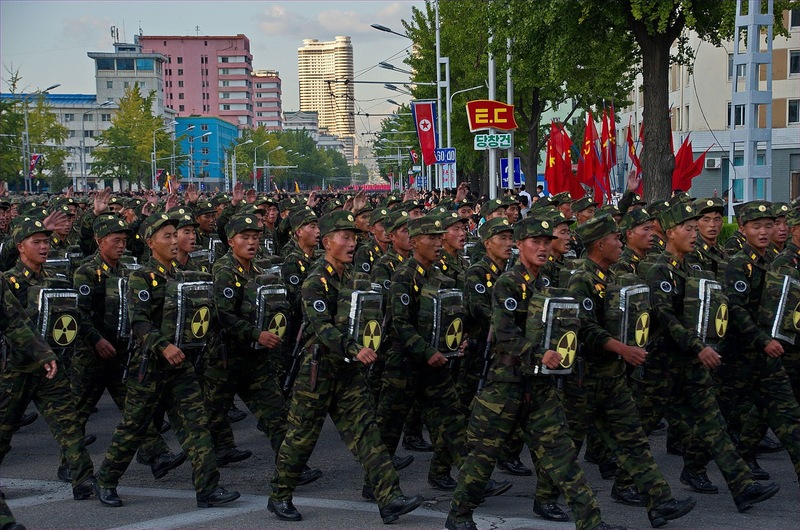 “Can the US Defend Against a North Korean Missile Attack”, by Warthog Defense, explains the GMD (Ground Missile Defense) strategy against a low-volume nuclear attack that could happen before 2020. GMD is predicated on destroying a missile as it re-entry with the kinetic energy of a collision. The film confirms that Bush was concerned about the idea of an eventual North Korea attack as early as 2002. A similar defense from NORAD should deflect any high altitude launch from a terror group from offshore intended to launch an EMP attack with a small high-altitude nuclear explosion or possibly flux device. 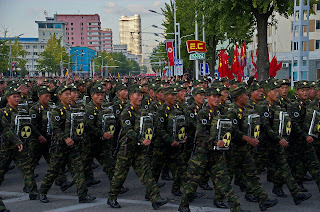 Check out Foreign Affairs (paywall), Jeffrey Lewis article, "Kin Kong Un's Quest for an ICBM, the State of North Korea's Missile Program", here.